The primary atrial septum originates from myocardium that differentiates from the splanchnic mesoderm near the venous pole. The primary atrial septum formed from this myocardium elongates toward the atrioventricular cushions that divide the two atrial chambers. A secondary atrial septum forms to the right of the primary atrial septum when the wall between the left leaflet of the sinoatrial valve and the primary atrial septum folds into the right atrium. The mesenchyme on the leading edge of the primary atrial septum is the prime location of fusion with the superior endocardial cushion. This junction later becomes myocardialized by in growth of myocardial cells, while maintaining the dense connective tissue structure at the center of the mesenchyme, also known as Todaro's tendon. 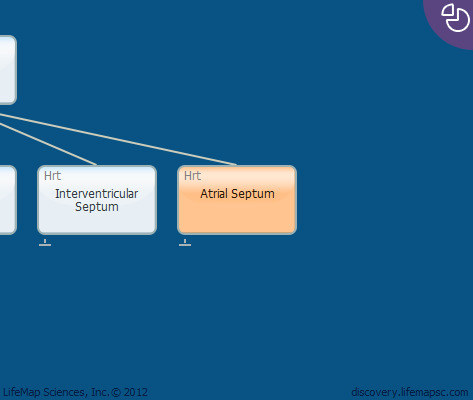 Atrial septa is formed at the seventh week of human development.